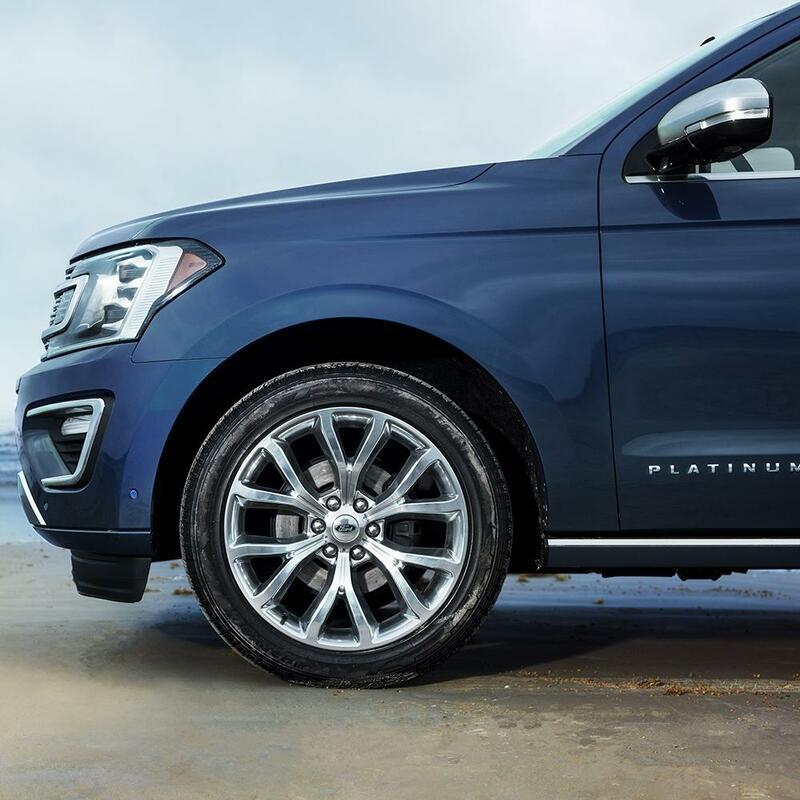 Strong, lightweight, and aesthetically pleasing, alloy wheels come standard on the 2019 Ford Expedition2. They're also available as an option on the 2019 Chevrolet Suburban, but they'll cost extra. 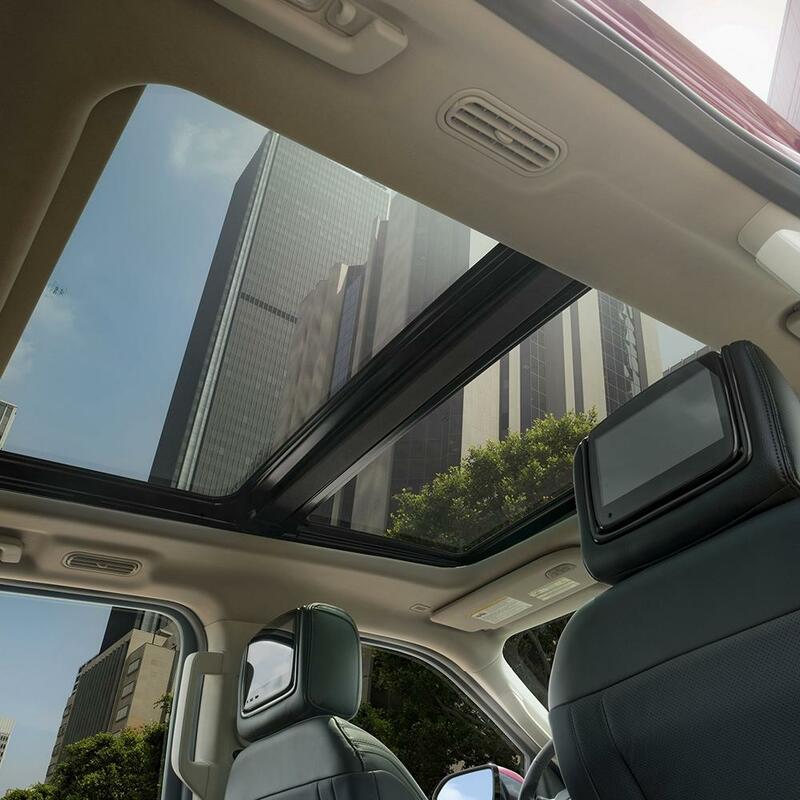 The 2019 Ford Expedition's5 standard sunroof lets the light in on even the gloomiest day. 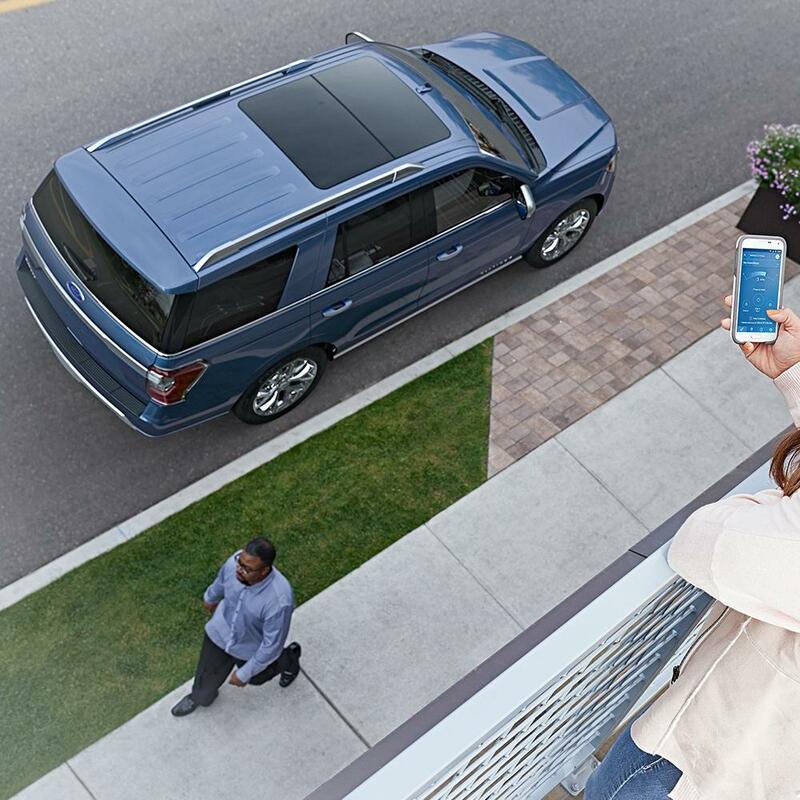 Sadly, the 2019 Chevrolet Suburban's6 sunroof will cost you extra. Who says you can't have both luxury and eco-friendly fuel efficiency? The 2019 Ford Expedition2 offers more miles per gallon both in the city and on the highway than the 2019 Chevrolet Suburban3, 4 - 2 more and 1 more MPGs, respectively - meaning you'll use less fuel and emit fewer greenhouse gases, while still enjoying the luxury and performance you've come to expect from Ford. Bravo! The 2019 Ford Expedition's5 increased torque - 4805 lb.-ft. vs. 4604 lb.-ft. - can mean the difference between easy going and a sluggish ride. 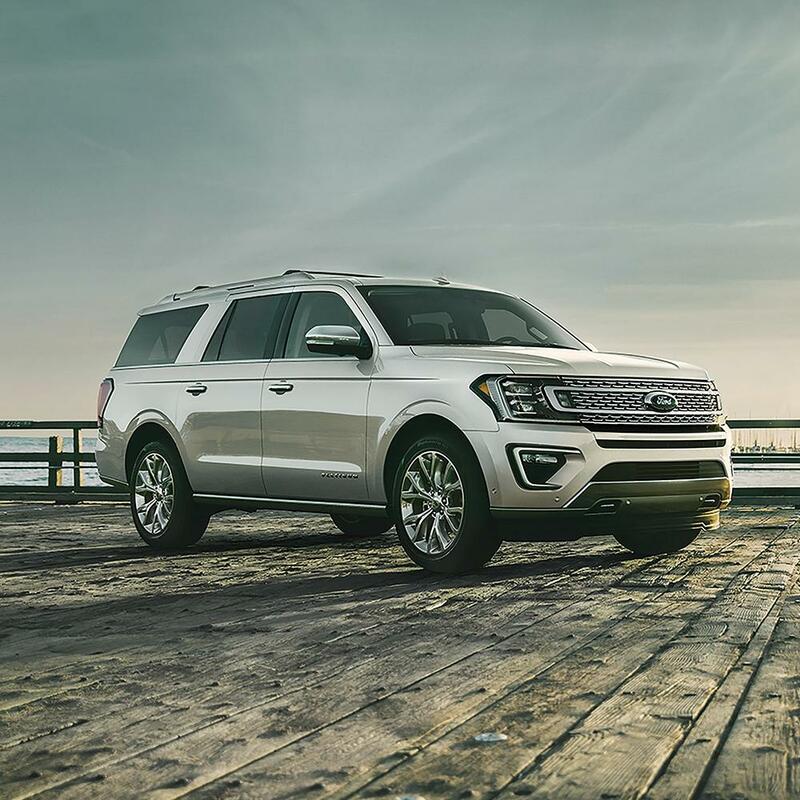 Enjoy the increased safety, fuel economy, and yes, fun, of the 2019 Ford Expedition's2 optional turbocharged engine. Sadly, turbo isn't an option on the 2019 Chevrolet Suburban. 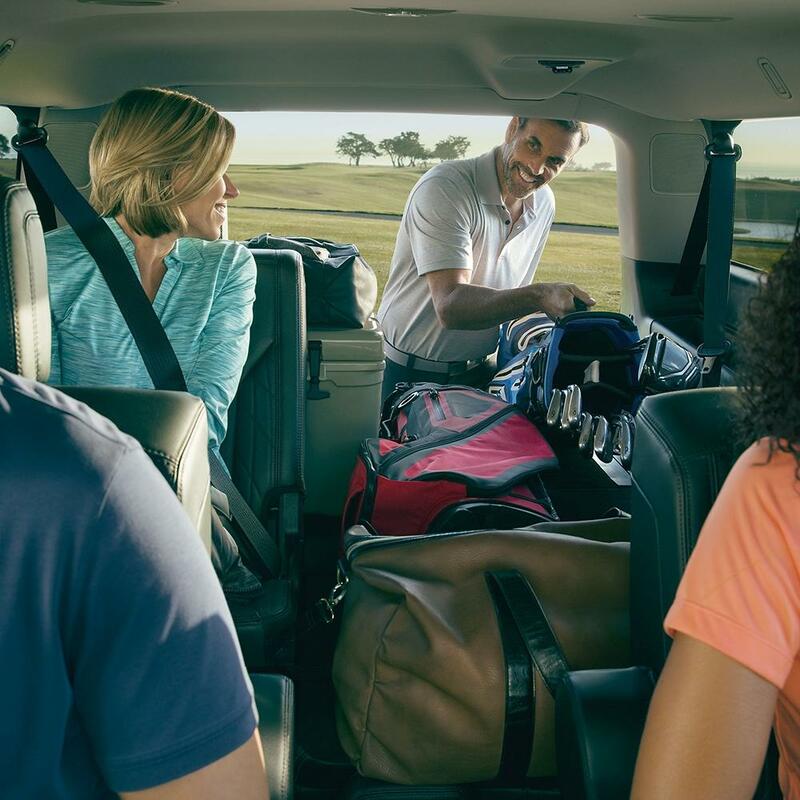 Offering 2 more inches in combined rear head and rear leg room than the 2019 Chevrolet Suburban3, the 2019 Ford Expedition2 is roomy enough for even the tallest of your passengers to travel in comfort. Bye-bye cramped "airplane-legs," hello rear passenger comfort. The 2019 Ford Expedition's2 slightly smaller turn radius means more agile maneuvering and easier parking. The 2019 Ford Expedition2 is so confident in their materials and workmanship, they'll pay for the cost of perforation repairs for 2 years longer than the 2019 Chevrolet Suburban3 - quite a consideration for drivers who live in climates where corrosion is a risk. 1 - Learn more at https://www.nhtsa.gov/ratings. Strong, lightweight, and aesthetically pleasing, alloy wheels come standard on the 2019 Ford Expedition2. They're also available as an option on the 2019 Chevrolet Tahoe, but they'll cost extra. The 2019 Ford Expedition's5 standard sunroof lets the light in on even the gloomiest day. Sadly, the 2019 Chevrolet Tahoe's4 sunroof will cost you extra. Who says you can't have both luxury and eco-friendly fuel efficiency? 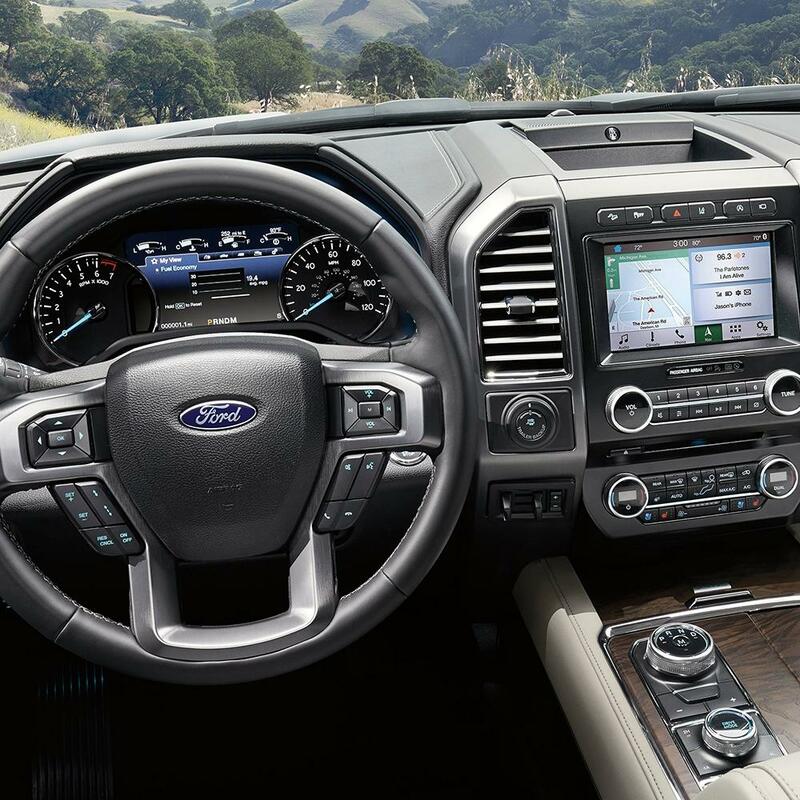 The 2019 Ford Expedition2 offers more miles per gallon both in the city and on the highway than the 2019 Chevrolet Tahoe3, 4 - 2 more and 1 more MPGs, respectively - meaning you'll use less fuel and emit fewer greenhouse gases, while still enjoying the luxury and performance you've come to expect from Ford. Bravo! The 2019 Ford Expedition's5 increased torque - 4805 lb.-ft. vs. 4603 lb.-ft. - can mean the difference between easy going and a sluggish ride. Enjoy the increased safety, fuel economy, and yes, fun, of the 2019 Ford Expedition's2 optional turbocharged engine. Sadly, turbo isn't an option on the 2019 Chevrolet Tahoe. Who wouldn't want more miles between fill-ups? 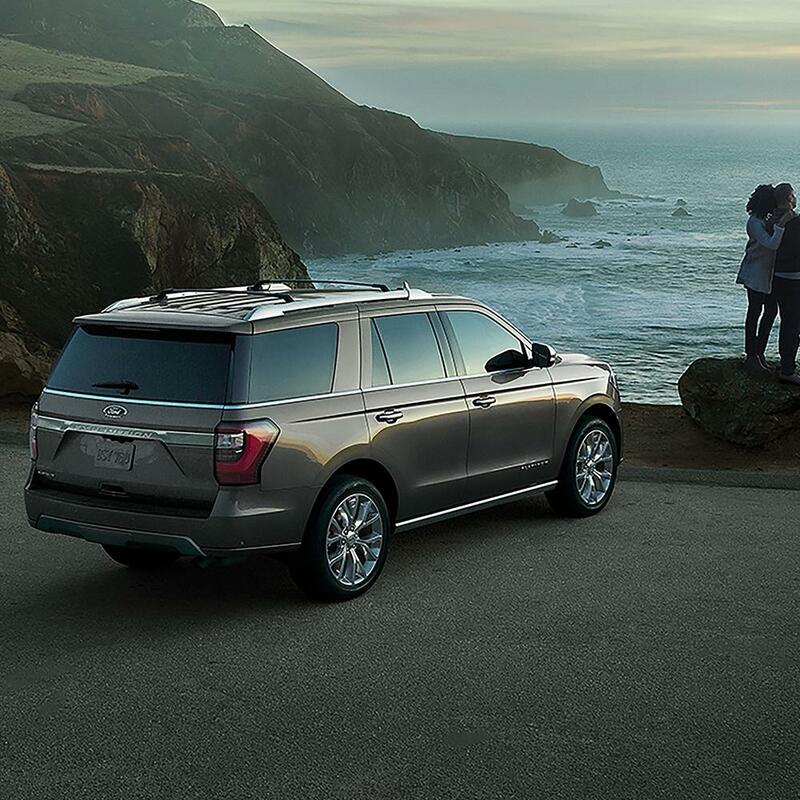 With a 18 miles higher estimated combined tank range, the 2019 Ford Expedition2 will keep you on the road longer than the 2019 Chevrolet Tahoe3. 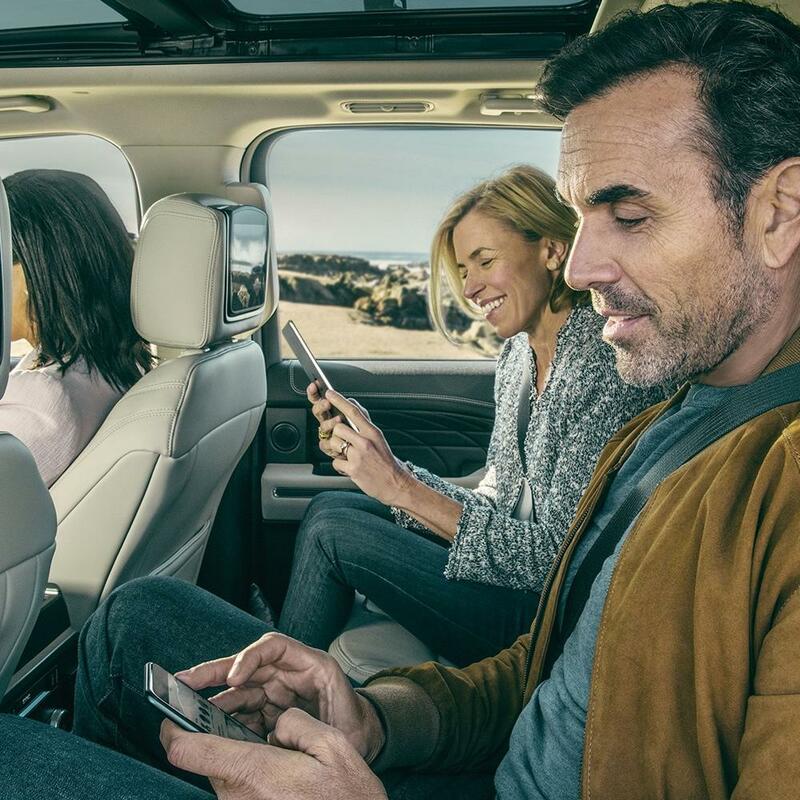 Offering 4 more inches in combined rear head and rear leg room than the 2019 Chevrolet Tahoe3, the 2019 Ford Expedition2 is roomy enough for even the tallest of your passengers to travel in comfort. Bye-bye cramped "airplane-legs," hello rear passenger comfort. The 2019 Ford Expedition's2 wider wheelbase can mean greater stability. How much more stability? A noteworthy 6 inches' worth. The 2019 Ford Expedition2 is so confident in their materials and workmanship, they'll pay for the cost of perforation repairs for 2 years longer than the 2019 Chevrolet Tahoe3 - quite a consideration for drivers who live in climates where corrosion is a risk. The 2019 Ford Expedition's5 standard sunroof lets the light in on even the gloomiest day. Sadly, the 2019 GMC Yukon's6 sunroof will cost you extra. Who says you can't have both luxury and eco-friendly fuel efficiency? The 2019 Ford Expedition2 offers more miles per gallon both in the city and on the highway than the 2019 GMC Yukon3, 4 - 2 more and 1 more MPGs, respectively - meaning you'll use less fuel and emit fewer greenhouse gases, while still enjoying the luxury and performance you've come to expect from Ford. Bravo! The 2019 Ford Expedition's5 increased torque - 4805 lb.-ft. vs. 4607 lb.-ft. - can mean the difference between easy going and a sluggish ride. Enjoy the increased safety, fuel economy, and yes, fun, of the 2019 Ford Expedition's2 optional turbocharged engine. Sadly, turbo isn't an option on the 2019 GMC Yukon. 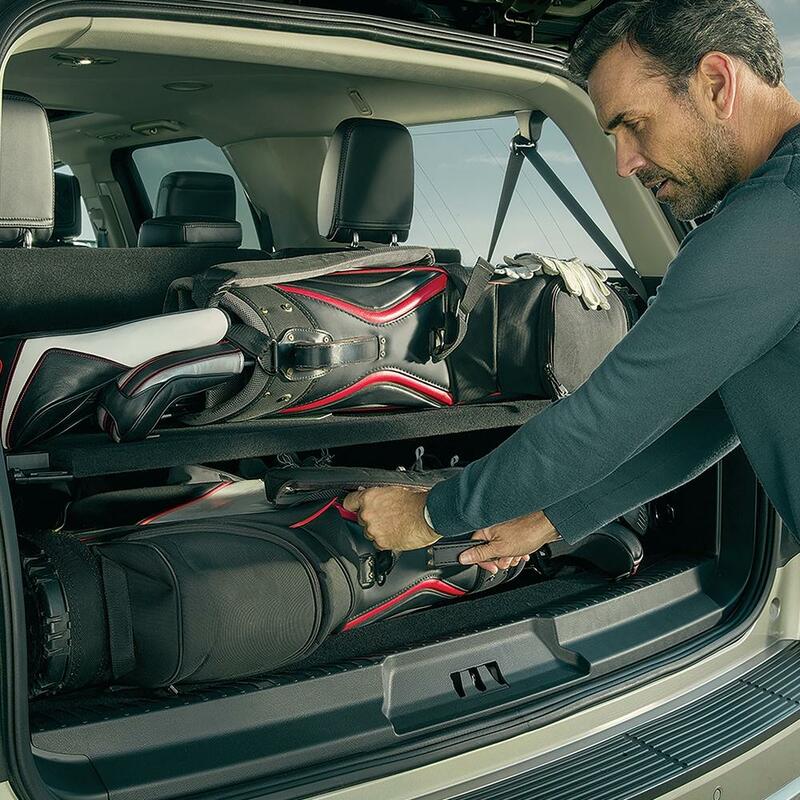 Offering 4 more inches in combined rear head and rear leg room than the 2019 GMC Yukon3, the 2019 Ford Expedition2 is roomy enough for even the tallest of your passengers to travel in comfort. Bye-bye cramped "airplane-legs," hello rear passenger comfort. The 2019 Ford Expedition2 is so confident in their materials and workmanship, they'll pay for the cost of perforation repairs for 2 years longer than the 2019 GMC Yukon3 - quite a consideration for drivers who live in climates where corrosion is a risk. Who says you can't have both luxury and eco-friendly fuel efficiency? The 2019 Ford Expedition2 offers more miles per gallon both in the city and on the highway than the 2019 Toyota Sequoia3 - 4 more and 7 more MPGs, respectively - meaning you'll use less fuel and emit fewer greenhouse gases, while still enjoying the luxury and performance you've come to expect from Ford. Bravo! Want more power and higher top speeds? Consider the 2019 Ford Expedition4, boasting 19 more horses than the 2019 Toyota Sequoia3. Reap the powerful advantages of the 2019 Ford Expedition's4 more than 400 horsepower: better performance and towing, and even better fuel economy. The 2019 Ford Expedition's4 increased torque - 4804 lb.-ft. vs. 4013 lb.-ft. - can mean the difference between easy going and a sluggish ride. Enjoy the increased safety, fuel economy, and yes, fun, of the 2019 Ford Expedition's2 optional turbocharged engine. Sadly, turbo isn't an option on the 2019 Toyota Sequoia. Who wouldn't want more miles between fill-ups? 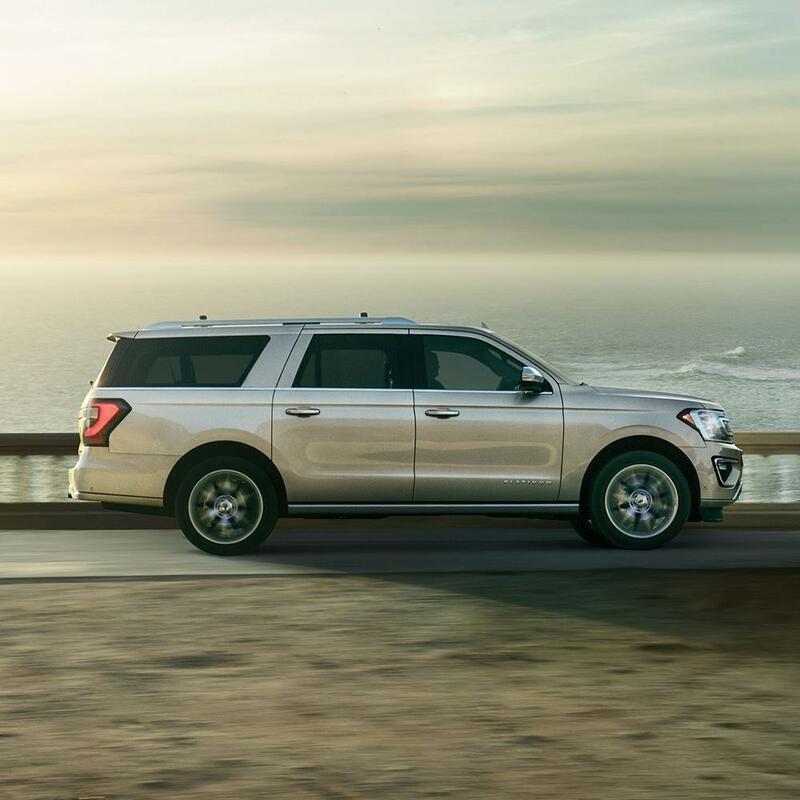 With a 70 miles higher estimated combined tank range, the 2019 Ford Expedition2 will keep you on the road longer than the 2019 Toyota Sequoia3. Tired of hunching over the steering wheel, or scooting the driver's seat all the way back? No worries. The 2019 Ford Expedition2 offers 16 more inches of combined front head and leg room than the 2019 Toyota Sequoia3, making the awkward hunch-back driving pose a thing of the past. 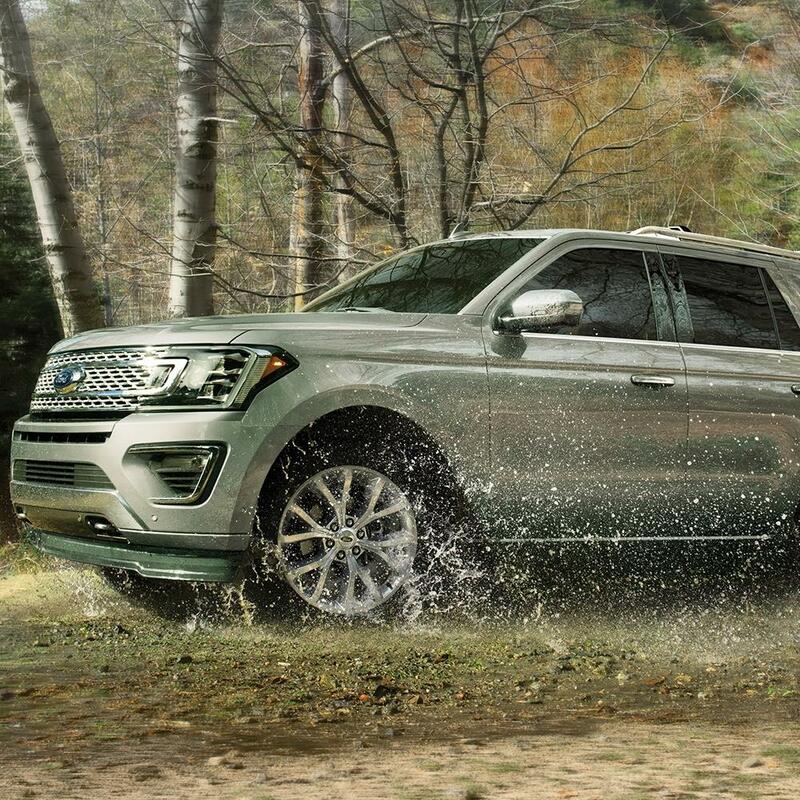 The 2019 Ford Expedition's2 lower ground clearance, 92 vs. 105, means a lower center of gravity and more stability. 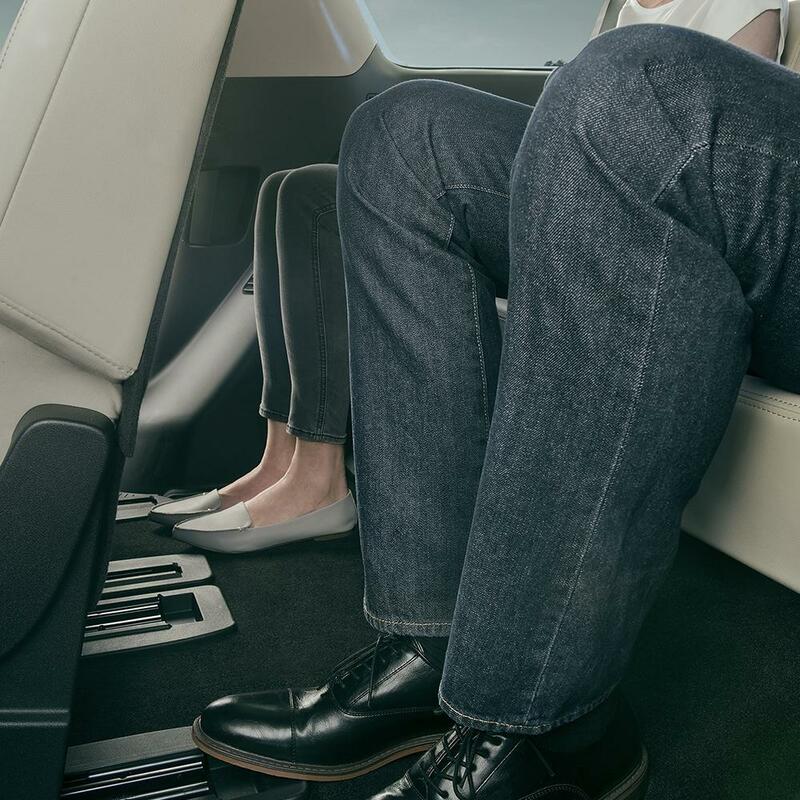 Offering 12 more inches in combined rear head and rear leg room than the 2019 Toyota Sequoia3, the 2019 Ford Expedition2 is roomy enough for even the tallest of your passengers to travel in comfort. Bye-bye cramped "airplane-legs," hello rear passenger comfort. The 2019 Ford Expedition's6 1,900-lb. increase in towing capacity over the 2019 Toyota Sequoia3 means you'll be able to tow just about anything, for the job site or for a weekend fishing trip. 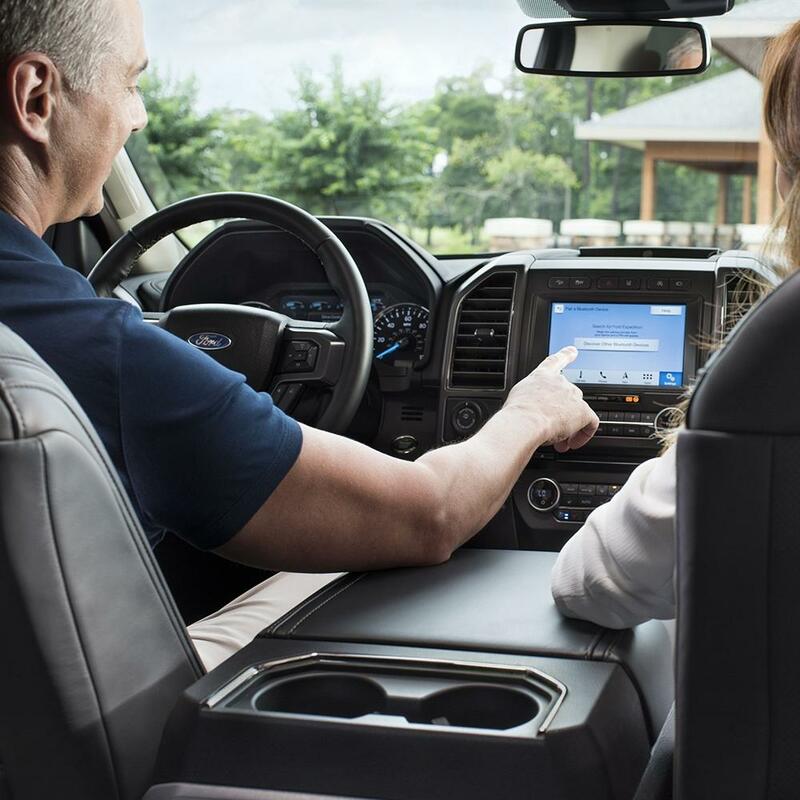 In the very unlikely event you'll need it, help is just a phone call away, 24 hours a day, 7 days a week, with the 2019 Ford Expedition's2 Roadside Assistance, standard for 3 years longer than 2019 Toyota Sequoia3. Who says you can't have both luxury and eco-friendly fuel efficiency? The 2019 Ford Expedition2 offers more miles per gallon both in the city and on the highway than the 2019 Nissan Armada3 - 3 more and 5 more MPGs, respectively - meaning you'll use less fuel and emit fewer greenhouse gases, while still enjoying the luxury and performance you've come to expect from Ford. Bravo! Want more power and higher top speeds? Consider the 2019 Ford Expedition4, boasting 10 more horses than the 2019 Nissan Armada3. The 2019 Ford Expedition's4 increased torque - 4804 lb.-ft. vs. 3943 lb.-ft. - can mean the difference between easy going and a sluggish ride. 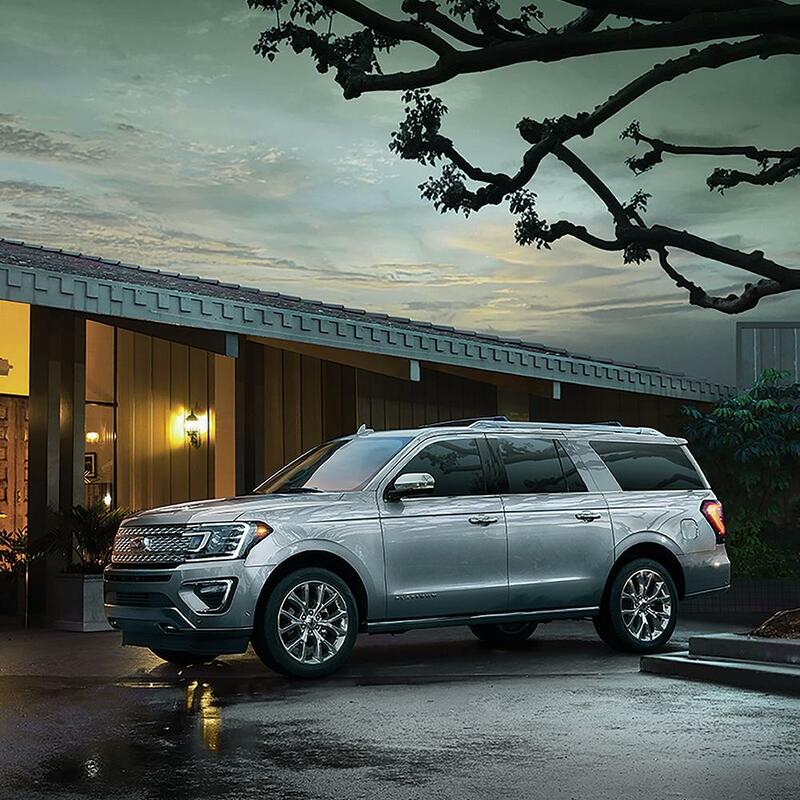 Enjoy the increased safety, fuel economy, and yes, fun, of the 2019 Ford Expedition's2 optional turbocharged engine. Sadly, turbo isn't an option on the 2019 Nissan Armada. Who wouldn't want more miles between fill-ups? 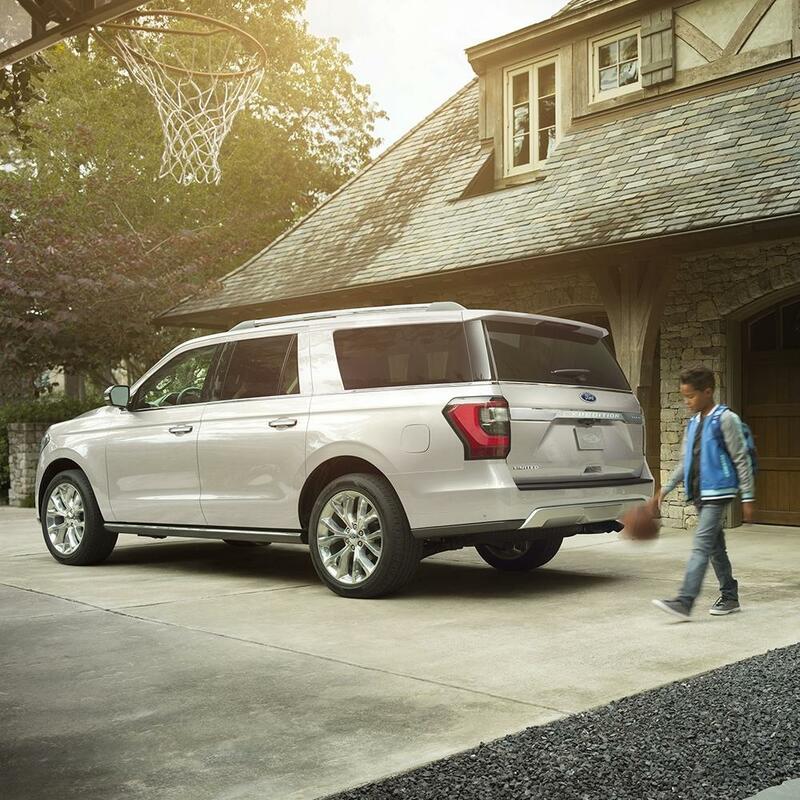 With a 44 miles higher estimated combined tank range, the 2019 Ford Expedition2 will keep you on the road longer than the 2019 Nissan Armada3. Tired of hunching over the steering wheel, or scooting the driver's seat all the way back? No worries. The 2019 Ford Expedition2 offers 4 more inches of combined front head and leg room than the 2019 Nissan Armada3, making the awkward hunch-back driving pose a thing of the past. The 2019 Ford Expedition's5 700-lb. increase in towing capacity over the 2019 Nissan Armada3 means you'll be able to tow just about anything, for the job site or for a weekend fishing trip. Even an increase of just an inch or two in wheel base can mean more stability, and the 2019 Ford Expedition2 has 1 more of those stability-increasing inches.